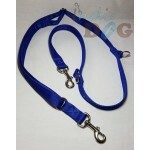 Double ended police lead in 20-25mm width with a strong trigger clip at each end and 3 rings alon.. 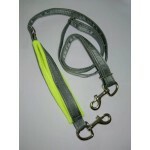 Regular flat lead in 20-25mm width with a strong cast iron trigger clip to attach to dog's collar.. 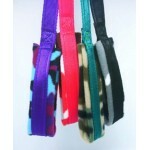 Various lead styles available with camouflage polar fleece lining in the handle (traffic handle f.. 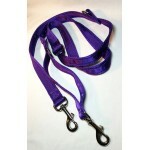 Introducing the new Maxway lead, exclusive to Indi-Dog A combination of the slider and police.. 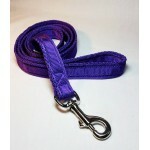 Designed as a partner for our Vari-Fit harness, this is an adjustable length lead, with padded tr.. 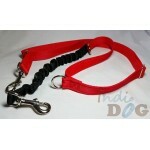 Introducing the new Zorb Maxway lead, exclusive to Indi-Dog A combination of the slider and p..